The cargo on Alexandr Tkachenko seen from port side. Photo: Alper Böler. Used with permission. 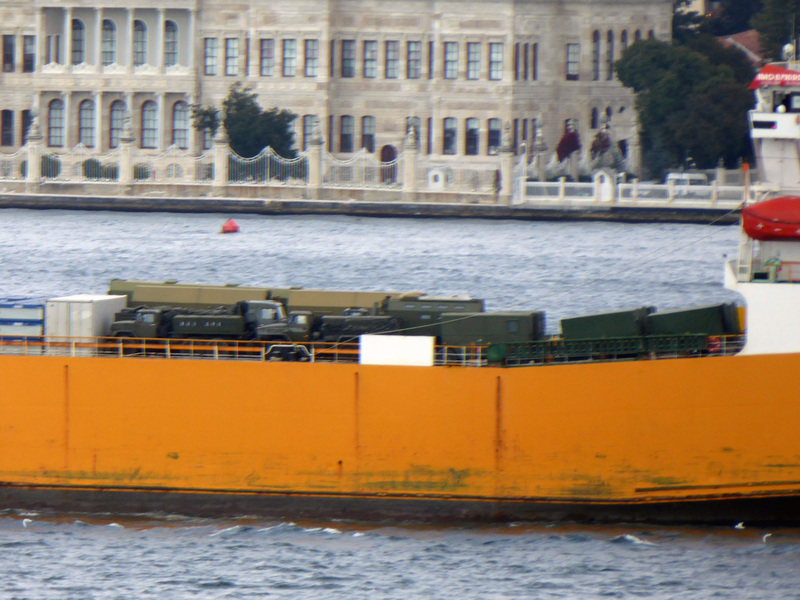 The cargo on Alexandr Tkachenko seen from starboard side. Photos: Yörük Işık. Used with permission. 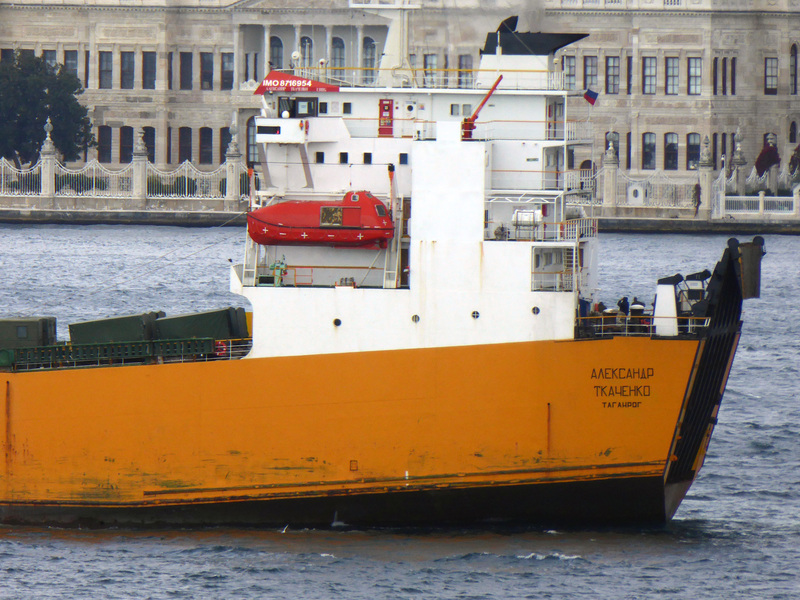 The Russian flagged RORO ship Alexandr Tkachenko, is one of the civilian ship that is used by Russian military to supply the operations in Syria. 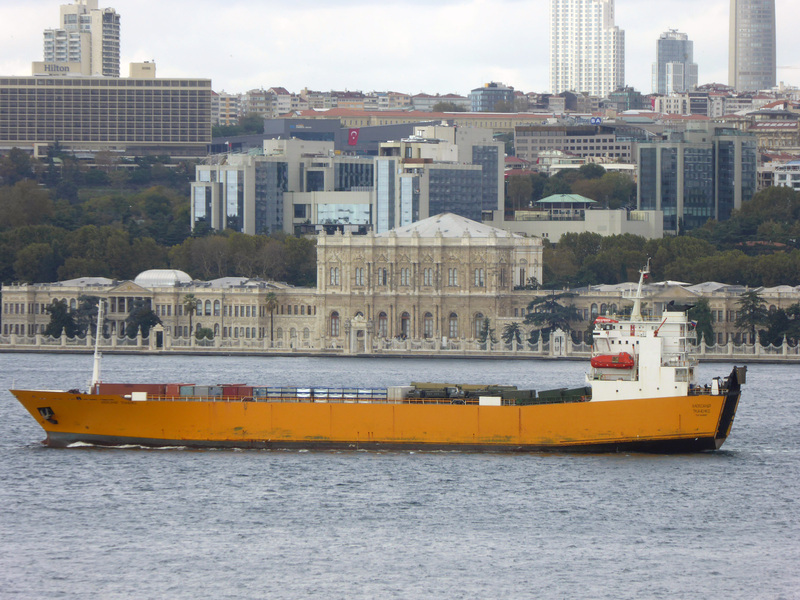 She made her latest southbound passage through Istanbul Strait on 31 October 2015. Her latest cargo has at least 20 ISO containers of which 3 are 40 feet and the rest are 20 feet. 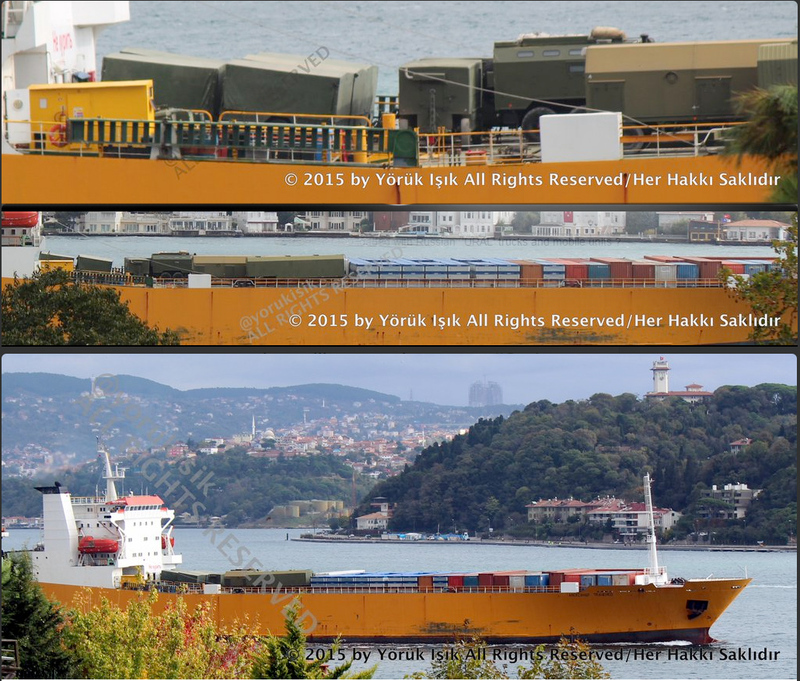 4 trucks and 10 trailers are also visible on the deck.